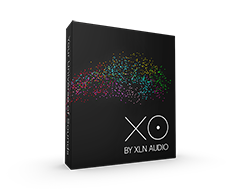 XLN Audio is a Swedish award winning music software developer. Our products are heard on albums and used in recording sessions all over the world by artists and producers like Max Martin, Nine Inch Nails, Maia Hirasawa, Ryan Tedder, RZA, and Hanna Järver. Thank you for your inquiry about employment opportunities with XLN Audio AB. Currently we do not have any position openings available. Please check back with us periodically.